Musician, Composer, Performer, Project Author, Fundraiser, Management & Coordination, Workshop Leader. Experienced musician with a genuine passion for creativity. 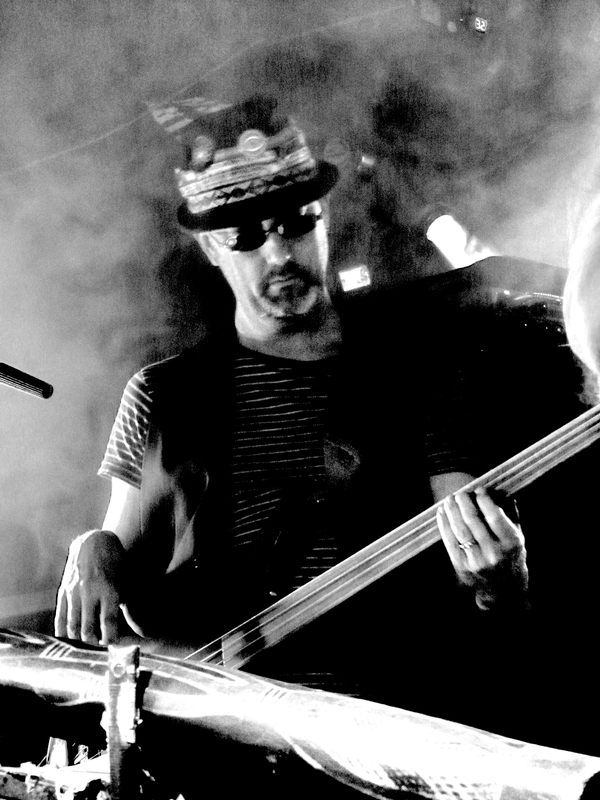 Skilled bass player and composer with a keen interest in developing the use of music technology in live performance, workshops and the studio environment. Composing and performing music for TV, film, multi – discipline arts and community events for many years. Recent work includes the original Past Lives tour, touring with Gong, Steve Hillage and Bill Nelson, performing with classic silent films, recording with Jade Warrior, organising the FreeFall Lounge (eclectic community cabaret), performing and recording with folk artists and singer/songwriters, music workshops for children with special needs and composing music and sound design for short films and documentaries. Hi Dave, I am organising next year’s Belper Goes Green ECO Festival (31 May and 1 June at Belper Rugby Club) and am hoping to have the solar cinema on site if we can get the funding for it. Jerry at Solar Cinema thought this could be an ideal opportunity for you to showcase the Past Lives Project. If you are amenable to the idea it could help to strengthen our funding bid. I gather you are in Belper – perhaps we can meet up to discuss the possibilities?